It has been announced that the much anticipated Chianti Classico ‘Gran Selezione’ will be debuting in the UK, with a tasting taking place in London in November. The Chianti Classico ‘Gran Selezione’ event will be taking place on Tuesday 25 November 2014 at Sixty One Whitehall in central London. A ‘walk round’ tasting of wines from 34 producers, a presentation of the new category by the Consorzio and a series of masterclass tastings hosted by sommelier and wine writer Emily O’Hare are on the cards for the event. 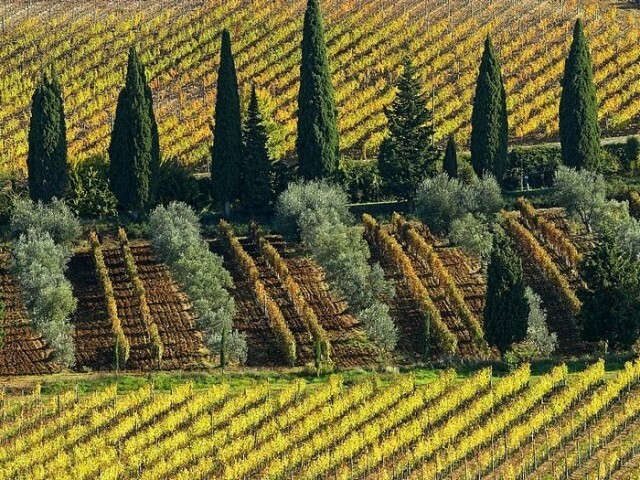 In 2013 the Tuscan wine region of Chianti Classico underwent a revolution, with the 600 strong membership assembly of the Consorzio Vino Chianti Classico approving an important addition to production regulations for the region. This permitted a new classification for Chianti Classico positioned at the top of the DOCG quality pyramid: the ‘Gran Selezione’. It is the first time that Italian wine legislation has permitted introduction of a new category at the pinnacle of such a denomination, with the ‘Gran Selezione’ accounting for approximately 10% of the Chianti Classico production. The UK event follows the world premiere tasting of their new top-tier ‘Gran Selezione’ category, which was hosted in Florence at the Palazzo Vecchio in February of this year. The first trade tasting took place a few months later in May at the Masters of Wine Symposium, hosted at the Palazo Corsini in Florcence. It has been more than 5 years since Chianti Classico – with its iconic Black Rooster emblem – has held an exclusive event in the UK, making this an important opportunity to review the category.